Howard worked in carpentry and learned how to build boats from being around his father while he built. “My father, it seemed like he had a gift for it. He was only, I think, seventeen or eighteen when he built his first motor boat, and went from there,” Howard said. He couldn’t say how many, but knows his father built dories, motor boats and six longliners. His last boat was a forty foot longliner built in 1981. 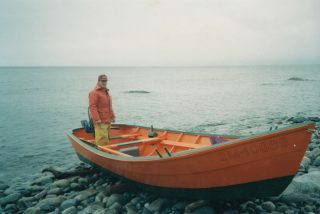 Howard starting building his own boats in the early 1990s, after his father passed away. 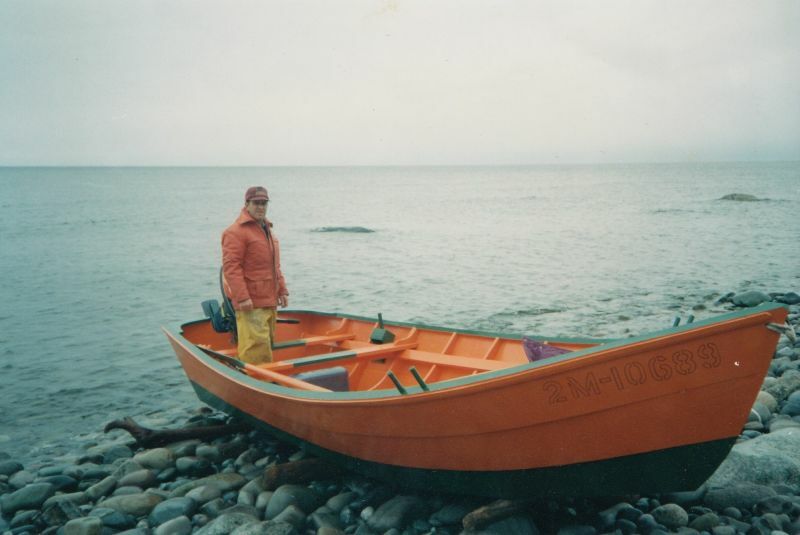 “The last one he built… he said, ‘there’ll be no more boats built here,’ but a couple of years after he died, me and me brother [Eddie], we took it up to build one!” Howard estimates he’s built about twenty dories, but had to stop building due to health concerns. 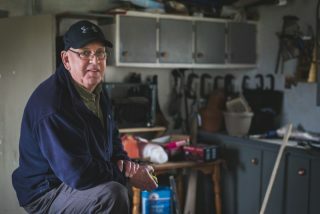 “I used to build a dory or two every winter, but this past three years I haven’t built neither one.” In addition to the dories, which he sold and traded, Howard has also built six longliners which were sold across the island.